For many of us Christmas is time to take stock of our careers and consider what the next year will bring. At Kendrick Rose we’ve been helping place candidates in new roles with Jersey’s top companies and organisations for nearly a decade. We’ve interviewed hundreds of people over the years, speaking to clients about what they really want, and helping candidates show what they are capable of. Our 12 tips take you through the whole process of changing roles, from considering what’s right for you, to preparing for and then acing an interview. 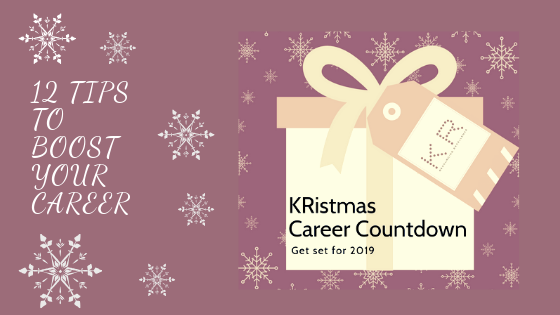 If you’d like to boost your chances of landing your dream job and give your career the Christmas present it deserves, join us for the Kendrick Rose KRistmas Career Countdown. Think about what you most enjoy doing and consider how close your current role is to that. Are you doing a job you’ve always wanted to do, or did you fall into something and end up being too busy to think about whether it’s really for you? We only get one shot at life so if you’re not doing something you’re passionate about, perhaps now is time to start thinking what sort of career you would find more fulfilling. Remind yourself what you always wanted to do. Think about where you would like to be in five years. Do your skills match the role you’re in or are you doing something that doesn’t make the most of your talents? List of your skills, both ones you use at work and ones you use in everyday life. How do they match up? Could you professionalise some of your personal skills to open up more roles? Look at roles available on the Kendrick Rose website and the skills required. Think you could fit? Get in touch. Consider what you need for a job to be worthwhile for you. Do you have a certain amount you need to make to support your family? Can you afford to take a break to retrain or do you need to upskill while working? Industries have their salary brackets and benefits with some being more generous. Be realistic about what you need for a career to work for you in the long term. Register with Kendrick Rose and find out more about expectations for roles in your sector. List your career highlights. Jot down tangible examples of where you have excelled at your job – winning clients, delivering projects, boosting profits etc. Think of a few detailed examples with relevant statistics which can be used in a CV or in an interview. Also consider a couple of examples of things that didn’t go so well that you have learnt from. A CV is just one part of the recruitment process but it’s still an important one. Rewrite your CV with 2019 employers and the job your really want in mind. If you’re thinking about changing career, pop in an see us for an informal chat about which direction you might take. Everyone checks people out on social media before an interview so do a social media inventory. Are there unflattering photos you should remove? Are your privacy settings allowing everyone on Facebook to see where you went on holiday, or who you are in a relationship with? Tidy up your social media profiles so you’re not accidently revealing things about yourself. We have a wide selection of articles on the recruitment trends and techniques online. Check out the Kendrick Rose news page for details. Changing jobs is on the stress meter with moving and getting married or divorced. You’re likely to get a request for an interview just when you’re super busy with work, your car breaks down, and your child decides to get chicken pox. You can’t control everything but if you keep on top of life maintenance before the ‘week from hell’ changing careers should be a little less stressful. Use the Christmas break to sort out the house, car, and basic life admin. If you know everything is in order, a short notice request to meet should be easier to accommodate. Don’t forget to book your grooming appointments well ahead of interviews too. Register with Kendrick Rose at your leisure and be among the first to hear about suitable new roles. Some people like to wing interviews, but charm can only go so far in a more challenging interview. Thorough preparation is the best way to ensure you go into the room knowing that you are giving yourself the best chance of success. Make sure you’re familiar with your CV and how your skills align to the job description. Before the interview ask your recruitment agent what they think the company is most focused in finding and put a bit of time into thinking carefully about what you offer in this area. Prepare a bespoke CV for each role you apply for to help keep most relevant points top of mind in an interview. Check out the company you're being interviewed with extensively. Make sure you understand their brand, product and organisation structure. For instance, do you know who the CEO is? Or what are their latest news stories? Social networking sites are a great way to find more out about the company and even your interviewer. For instance, Linked In is a fantastic tool to find out about a person's career history. You'll know how long your interviewer has been with the company, their history and maybe even their hobbies – a great tool for breaking the ice. Follow companies you are potentially interested in on social media and sign up to the Kendrick Rose newsletter to find out about the latest executive roles in Jersey. Prepare for common questions by thinking about your answer carefully in advance and practise saying it out loud before the interview. ‘Tell me about yourself’ is a typical interview opener. You want to show yourself in a positive way without waffling. Highlight your achievements without going into too much detail. You will probably also be asked some variation of ‘what are your strengths and weaknesses?’ Select your three main strengths that are relevant for the role, with examples of how you applied the strength in a work environment. For weaknesses identify one thing you have recently made positive steps to redress. You need to know yourself to sell yourself. Talk to your recruitment agent for bespoke coaching ahead of a major interview. At Kendrick Rose it’s all part of the service! 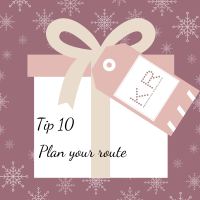 Being on time and researching where you're going beforehand sounds obvious, but you'll be surprised how many candidates end up being late or turn up far too early. Always make sure you turn up no more than 5 -10 minutes early for the interview. We’re all judged on first impressions, so it's vital to dress the part – polished shoes, manicured nails and a clean, well-fitting outfit that is a notch smarter than what employees regularly wear. We all feel more confident when we look and feel good so make sure your appearance is neat, tidy and appropriate for the type of business you are being interviewed with. Look at company photos and social media accounts to see how people dress. Walk past the office a day or two before your interview so you know the route or know where to park and can judge your timings. Accept a glass of water if offered one. It’s useful just in case you get nervous and aren't very good at responding under pressure and can buy you a little extra time in case a client asks a difficult question. Relax, take a sip of water, think... and then respond. It is natural to feel nervous before an interview, but when you are nervous you are more likely to rush, and this will make you feel even more nervous. Take a few deep breaths before going into an interview and remember to breath properly as you talk. If you exercise regularly try to fit in a gym session or a yoga class earlier in the day of an interview. This will boost endorphins and help you feel more grounded. Plan your day around an interview giving yourself plenty of time to exercise, travel, and get ready without getting stressed. Speaking clearly and confidently in the interview. When you speak, you want the interviewer to sit up and take notice of what you say. To do this it is very important that he/she hears every word. If some of your words are unclear, merge together, or are too fast he/she will soon lose interest. Eye contact also helps you maintain a confident style and it’s important to maintain focused eye contact during the interview. The key time to look at someone is at the end of your sentence as this helps cement the message in that sentence. Don’t forget to smile occasionally too. It breaks the ice and makes everyone feel more positive. Check out our Facebook page for more articles on how to ace an interview.